About 5:10 a.m., on 23.9.2018, Police responded to a report of a house fire at the Corner of Progress and Cinderella Street, Orange Walk Town Upon arrival, they observed an apartment that house the Petillo family totally engulfed in flames. Police were also informed that four persons were trapped inside the apartment. The fire was later extinguished by personnel from the Fire Department. A search in one of the rooms led to the discovery of three apparently burnt bodies identified to be Kevan Clare, 14-year-old, Mia Petillo, 10-year-old and Jeda Petillo, 12-year-old. 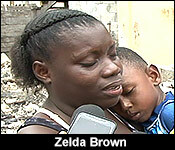 Zelda Bowen, 31-year-old, Belizean Domestic of said address reported that she saw the kitchen area of their apartment engulfed in flames and ran out for help as her three children were inside one of the room. Her husband Alfredo Petillo who was outside running in the apartment, however, the fire began spreading and he got trapped inside with the children, they were all burnt inside by the fire. The four bodies were transported to the Northern Regional Hospital where they were pronounced dead. The bodies now await a post-mortem examination. The cause of the fire has not been ascertained and Police investigations continue. Reports are that Petillo, his wife Zelda and youngest child got out safe, but he went back in to save them. Friends and neighbours say the fire is believed to have been started by a candle left burning in the home. Tonight, we have a packed newscast following the 3-day Independence Day weekend, but the story making headlines tonight is that a second family of 4 has died in a house fire in only 3 months. 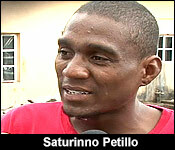 This one happened in Orange Walk Town early yesterday morning, when the Petillo family was resting after a night out. Alfredo Petillo and his 3 children, Kevawn Clarke, Jayda Petillo, and Mia Petillo, ages 10 to 14, became trapped in a blaze that destroyed their home, as well as those of their uncles. The family yard, located at the corner of Progress and Cinderella Street in the Town, had 4 homes built close together, where the 3 Petillo Brothers and their spouses and children lived. At the main building is where their parents lived, but yesterday's fire started in Alfredo Petillo's kitchen and quickly spread to his brothers' family home, destroying everything in its wake. Everyone managed to get out in time, but the 3 young children were trapped in the bedroom they sleep. Alfredo Petillo went in to rescue them, and unfortunately, it became a 4-person tragedy. 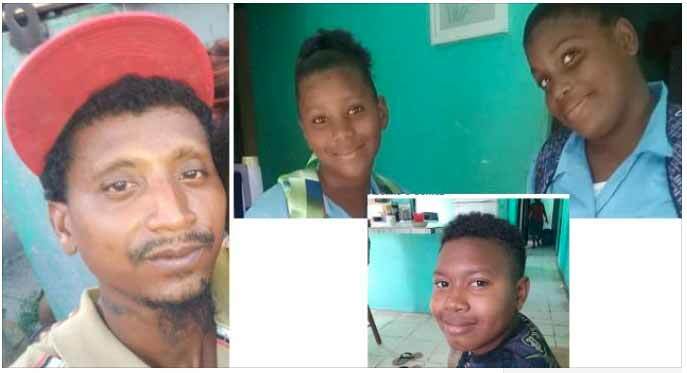 36 year-old Alfredo Petillo, his 14 year-old stepson, Kevawn Clarke, his 10 year-old daughter, Mia Petillo, and his 12 year-old daughter, Jayda Petillo, all perished in a house fire on Sunday morning. It is an unthinkable tragedy that has the town shaken; 3 innocent children lost their lives in the place where they should be safest, and their father committed the greatest act of self-sacrifice, risking - and losing - his life, trying to rescue them. "He managed to take them to the bathroom and broke the pipe and cover them with the sheet, so the water could helped them, but it still didn't helped them." "It hurts. Deep within it hurts. I am no showing it, but it hurts." "It is sad to hear the the children who perished were screaming for help and there was no one that could get inside. Seeing their own children screaming for the other kids to come out and they can't. It's very hurtful." 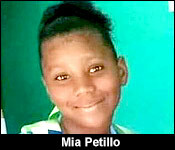 All that sadness has resulted from a time should have been festive for the Petillo family. Norma Petillo, who is now homeless, and is mourning the loss of her brother-in-law, her nieces and nephew, was celebrating her birthday. Her friends were heading to her house for the break of dawn to serenade her. They arrived to find the family home ablaze, and everybody in bed, oblivious to the danger that was about to overtake them. "Yesterday, sadly was my birthday and they were going to surprise me with "mananitas" in the morning. That was before 5am in the morning and the person that was going to bring the "mananitas" for me was the one that actually alerted us." "We planned that we were going to go sing "mananitas" with wife alongside with my wife with him. So everything was already set up. Minutes to 5am banging the curve and next thing you see is just flames at the back. So we just parked the vehicle and we came out blowing the horn. They didn't woke up. We got out and we bang the doors and that is when they got alerted and the house is engulfed in flames and by the time we rescued Miss Norma and Corporal and their kids, we went to the following room, but they had already gotten out. The fire was just quick." All 3 of the adult Petillo brothers immediately went into emergency mode, and they made sure to get their spouses and children out of the burning house. Alfredo Petillo tried to do the same, and he managed to save his common-law wife and their youngest son from the fire. "About minutes to 4 when he woke me, he said 'babe get up, fire' he said get out and then he broke the side [wall] from the barber shop and took me and my baby out then the little at the back yelled for him. She said "dad" and he ran in back. He went in back and never came out, any of them." For the rest of his children, Alfredo Petillo could do nothing to save them; he tried his best to rescue them. Outside, the other frantic family members also had to accept that this father and his kids were beyond help. "By the time I came out of my house, I grab my son first and my girl grab the youngest child and the she dragged the other child. By that time I realize Pitts ran inside. I didn't know where he want. Then after that, I picked up my daughter from off the bed, because she ran inside back and started to cry. I ran out. I asked Pitts wife where are the kids and she said they were inside. I grabbed a piece of iron rod and whop all the windows and threw water. Only one scream I heard and then silence. I started to throw water telling my brother and his children to come out. Not knowing they already broke the pipe in the bathroom and he was hugging them up to keep them cool. If I had known I would have ran through the corner where he went in and took them out from there. But I didn't know. It when I saw where they were found. it hurts me so much. I can't explain it. If it was me that was in there, my brother would have run through that fire for me." "It's the saddest thing when you want to help and you can't help them. He tried his best." And Alfredo Petillo's family says that he made it well known that he was always prepared to give his life for his kids, if it ever came to that. "He said that if he is to die, he would die with his family." "He always told me that if anything is to happen to his family, that he would die for his family. He went in there to try to save the 3 and he didn't came out, but he managed to get us out and the other 3 children - he died with the baby in his hand." So, while the Petillo family mourns the loss of these 4 loved ones, 11 more are homeless tonight, and all of their belongings were completely destroyed. Still, they are reflecting on the fact that while this is a terrible state of affairs, it could have been worse, and more lives could have been lost. So, you've seen the immense pain and grief in the aftermath of this fire, but up until this afternoon, it was unclear what exactly started it. "The fire started from the stove area." "Was the stove left on?" "It appears that something was being cooked on the stove, a sort of aluminum type material as it melted and flowed within the top of the stove. We do have pictures but we didn't get it on the computer. That reflected that. When that occurred, the gas tank that was near and the transparent tubing - once the fire started it quickly broke the transparent tubing." "Certain types of aluminum pots if left on the stove too long and the liquid evaporated out and is not check, aluminum will melt at 1,200 degrees so it will melt." "And that started the first fire." "And then that fire compromised the plastic butane hose and at that point you go from having a small to a torch fire." "Which would rapidly accelerate the fire." "I know the mother survived. Does she know what might have been left on or was it a conscious decision to leave something maybe slow cooking or something?" "In an interview I had with the mother, she indicated she had nothing on the stove. That when they got in, they simply turn on the lights and eventually turned them off and they all went to their individual beds. She also stated that the structure had no electrical current. They were receiving electrical feed from the structure at the rear. Close examination of those electrical wirings revealed no indication of an electrical fault. Therefore electrical fault or contribution to the fire has been ruled out. Analysis of the stove indicated a pooled-hardened aluminum type material across the stove. It appears to have been set in the center of the stove over where there is a Comal burner." "Although she had denied in our interview they had anything on the stove, after discussions with her and before I left her I asked her if she had made any statement to the police. She said no. Discussion with the officer responsible for CIB Unit OW, stated earlier in the morning sometime around 8am he had discussions with the mother. In their discussions she admitted they had something on." Of course, with all that pain comes rage, and members of the Petillo family are unhappy with the performance of the fire department. "They ran out of water. They had to bring an extra truck and try to do their best. Everybody was trying to give a hand. But it was too late." "We were calling and calling, no answer. We call the police and no answer. My brother-in-law jumped from upstairs and jumped in a pick up and he went at the fire station. Went there, woke them up, came back and the fire truck still didn't reach. He reached back before them. When the fire truck came, there no light, no siren, nothing. When they came they had less than 5 minutes of water. The truck ran out. Then they went for another truck and no water. We have a fire hydrant right there and it looks like WASA and someone closed it off, because the truck use to come and full there and I thank Mr. Denny, he got a call and he brought his water truck and that's how they put out that fire." "You are telling us that there is a fire hydrant down here that could have saved your son's life?" "Yes, this could have saved my son's life, because this doesn't take 5 minutes to connect. You put the pipe, you connect the hose and there is a T that you turn on and right away. The fire truck that they have has half tank of water. That's why my child was burnt up. This they have to fix this." "Orange Walk is very big to have these small trucks. Like I said this morning and I keep on saying it: why would you keep on parading down the streets and boasting 2 trucks that really is useless." "I am asking and pleading to whoever needs to get this information: we here in Orange Walk needs better services. The government or whoever needs to set in place things, please get it done. I am so happy that my family got out. Thanks to Emmerson and Leslie again. It could have been worse, but we are here." "On receipt of the call which was 05:08 from the police, we responded and arrive on the gear. It wouldn't take long for us to respond and arrive. We would respond within 1-2 minutes the most. That was the case in this situation." "So you arrived on the scene and the father had already broken down the door to the barber shop?" "When we arrived on the scene, the structure was already engulfed. The father had already exited and returned to the structure. We did not meet him outside." "He didn't break the door to the barber shop you said to exit the first time?" "I said that and I said he had already returned to the structure." "My question now is that you couldn't access the building from the barber shop's entry?" "That's how he exited the building. But when we arrived, the building was already engulfed." "The entire building. So not just their entrance? That one as well?" "The information we received from our officers is that when we arrived, the building was already engulfed in flames." "Which simply means at that time there was no life within the structure at that stage of fire - open stage, free burning phase. The entire interior was engulfed in flames." "Alright, so it took you a minute to reach there. You are saying it would have taken a minute for the entire house to be engulfed in flames." "We do not know when the fire started. You need to understand that. We react to a situation. We don't know who makes the call and how long it took them to make the call and how long it took that call to reach us. We know when we get the call and therefore we responded. In our department its when you received the call, what response we have, what we find on the arrival and what we do. We cannot respond to a situation we know nothing of." "For some reason it is expected that the fire service has unlimited water. We don't carry the sea, the canal nor the heavens with us when we responded to a structure and it's not being sarcastic. It being realistic. We have small trucks that we responded that has limited capacity. We have a country that has limited hydrants and very poor flow. Until these things fixed then there will be limitations. We did not have problems, we just had challenges. The 2 trucks went into the operations; one had 450 gallons of water, the other had 200 gallons of water. After exhausted its supply they were shuttling water from the nearest hydrants, the hydrants that were in operation. The distance was almost a mile, so there is no possibility of laying water from that particular area, so it has to shuttle water." As we reported, this is the second family of 4 to die in a house fire. 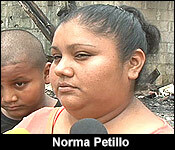 Back in June, 30 year-old Clara Nunez, her 6 year-old daughter, Natasha Nunez, her 14 year-old son, Allan Nunez, and he niece, 15 year-old Sherlett Bacab perished in a fire which destroyed island home, which was located in the Escalante Subdivision of San Pedro. 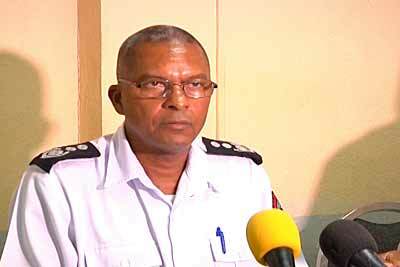 Following Sunday morning’s fire in Orange Walk Town, the National Fire Service has once again come under criticism. A number of catastrophic fires have highlighted the fire department’s lack of adequate equipment that is needed for the department to successfully carry out its job. 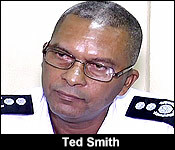 Yesterday, Fire Chief Ted Smith responded to some of the criticisms and accepted that there are a number of limitations. Tonight Orange Walk town is still trying to come to grips with the reality that four persons, one father and his three kids, perished in a fire in a fire which destroyed their home. 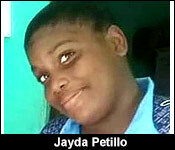 35 year-old Alfredo Petillo and his 3 children: Kevawn Clarke, Jayda Petillo, and Mia Petillo, ages 10 to 14, never made it out of the house and post mortem examinations show that the children died from smoke inhalation, while Petillo's succumbed to a combination of burn injuries he suffered, as well as the smoke inhalation. Apart from these 4 who died, 11 other members of the Petillo family are homeless because that fire destroyed 3 homes built close together in the family yard. It's a very deep imprint of pain and unfathomable loss. Fire investigators say that it all started with a pot left on a stove - which someone forgot to turn off. The pot melted, which the compromised the plastic butane hose, leading to the nearby 100 pound cylinder. Once the plastic tubing was compromised, the butane tank became a kind of flamethrower which quickly spread fire to the rest of the house. "The mother, who I had interviewed, explained that she was awakened by the husband, who told them that there is smoke in the house, that they need to get out. However, being where the fire started, it compromised, early in the fire, the only exit from the structure, the north exit, which on the rear side of the structure. The structure, indeed, has 2 exits. It has a south exit, here, but sometime before, a barber shop, this section, was added to the structure. As a result, this exit was boarded up to - I would believe - prevent occupants of the barber shop from having access to the structure. The family, mother, father, and the young child that survive, was occupying this room. The father had to literally tear away the barricade from there, to have the family exit the structure. When they exited the structure, they heard the screams from the daughter, coming from within the house. The father then made the conscious decision to return into the house, however, he never exited. Eventually, the butane tank, which was blowing fire across the stove, in the previous slide here, that compromised the exit early, fell down, and started blowing fire still, across the access way. That contributed to a fuel load to rapidly accelerate the fire growth. The father was eventually was trapped within the bathroom, and the children within their room. 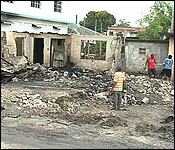 He and the children never made it out, as a result of the rapid development that took place of the fire there." "The tank was within the structure, and near the only exit. The investigation revealed that plastic tubing, transparent tubing was being used, and not copper tubing. This compromised, very early, in the fire, which created that torch that blocked the only exit out, hence the reason, as Mr. Smith explained, the father of the home had to work tremendously hard to move the barrier that was behind the previous door that they have blocked off. If copper tubing was being used, there is a strong possibility that the fire would not have developed so rapidly, as the copper tubing would have compromised easily, like the plastic tubing. Also, had 2 exits been readily available to that structure, we would not have had the result that we have now. We also want to bring to your attention the close proximity to the adjacent structures. It is so close, our investigation revealed there were no windows on that section of the building, only those small bathroom windows. So, because of the design and the construction, it also compromises the safety of the people who live within the structure. We also noted there were no smoke detectors, to alert individual occupants of the home that a fire had started. When the fire was still in its incipient stage, the occupants would have been alerted." "The truck went into the operation, 2 trucks. 1 had 450 gallons of water. The other had 200 gallons of water. After they exhausted their supply, they were shuttling water from the nearest, the hydrants that were in operation. The distance was approximately a little over a mile, so there was no possibility of relaying water from that particular area. So, they had to shuttle water. That took place, and eventually, good samaritans in the area brought in a water truck that had some water, that we could have utilized and assisted in extinguishing the fire." "Were there hydrants closer to the scene than that one?" "There was a hydrant that had gotten damaged nearby, but it's no longer functional." "How long would you say it took you all to find another source of water from the hydrant a mile away? How long would you say it took to get water back operating at the fire?" "My estimation with an ideal situation, all the variable working in our favor, 10 minutes time, around that time, anywhere between 8 to 10 minutes?" "If you had water. If you were in a perfect world, and they had a fire hydrant right in front of the house, or at the corner, would you have have been able to save anyone's life?" "No sir, not based on the officer in command on arrival what the found. There is no way we would have been able to save lives." "You couldn't enter the structure." "That's correct. The structure had already detached. The roof collapsed." "Are you sitting down with BWS to try and address those concerns as well? Just in the event that this presented a different scenario, and you could have saved lives, but the hydrant wasn't working, are you sitting down with BWS to address those hydrants around the country that aren't working, aren't functional?" "We are working on trying to buy hydrants. First of all, we have to buy the hydrants." 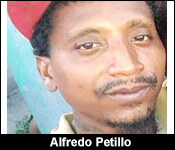 Of note is that one of Alfredo Petillo's brothers who is now homeless is a serving member of the police department. He's Corporal Wilfredo Petillo, and he is attached to Eastern Division Region 1. 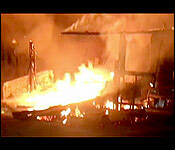 He, his wife, and his 2 children are among the 11 living family members who lost everything in Sunday morning's blaze. 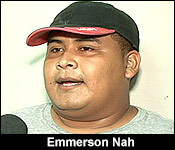 His police colleagues from Eastern Division Region 1 are planning a barbecue sale for this coming Thursday, at the Raccoon Street Police Station. The officers are asking the general public for their support. 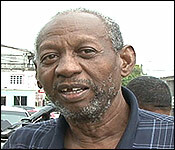 Today was a sad and heavy day in Orange Walk Town. 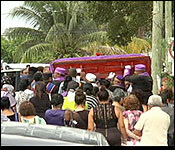 A throng of townspeople came out to see the joint funeral for four members of the Petillo family. 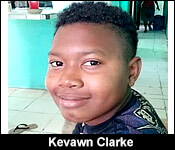 It was held at the St. Peter's Anglican Church for 36 year-old Alfredo Petillo, his 14 year-old stepson, Kevawn Clarke, his 10 year-old daughter, Mia Petillo, and his 12 year-old daughter, Jayda Petillo, who all perished in a fire on Sunday morning in Orange Walk Town. All four family members were placed into two large coffins, carted out of the small church and then taken in an especially sombre funeral procession. 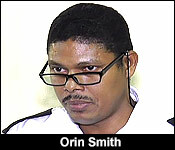 It's the second time in as many months that four persons have bene lost in a house fire. In this case, the Petillo's were sleeping in their house on Sunday morning - unaware of the fact that a pot had been left on the stove. The pot melted, and started a fire, which quickly melted the plastic butane hose. The 100 pound butane tank became a torch shooting flame across the house, leading to a fire where only the mother and a young child were saved, while the father and three children perished. And while the town mourns, the scrutiny on the Fire Department remains very high. The town Mayor Kevin Bernard doesn't buy the story that the fire hydrant closest to the Petillo family home at the corner of Cinderella and Progress Street was not working. The Fire Department says that because of that failure they had to get water from a hydrant almost a mile away - leaving the fire raging and the fire trucks without water for as long as ten minutes. 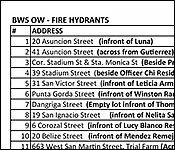 But, Mayor Bernard has sent us BWSL's list of hydrants and it shows that a hydrant two blocks away, on Progress Street by Lito Urbina's resident was working, as was another even closer at the corner of San Andres and Progress Street. Yet, he says, the fire department went all the way to Asuncion and Stadium Street to get water. 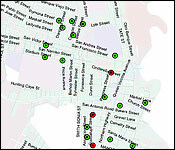 Again, the Mayor says all these hydrants were active and functional, denoted by green dots on this map. We tried but were unable to get comment from the Fire Department.